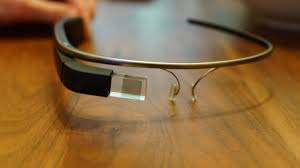 Technology today gives us a window into worlds that we may have missed in previous years. You can view two of the songs performed in this competition: “I Will be a Child of Peace” and “Peze Kafe'” on Vimeo, (vimeo.com/wkhschoirboosters), from their performances at St. Leo’s Church (Child of Peace) and the First Congregational Church (Peze Kafe’). Worthington Kilbourne Choir parents have consistently expressed that they feel very fortunate to have a new choir director (Mr. Zabiegala) who is so passionate about his craft and brings that passion to his students every day. He is carrying on a long tradition of excellence at WKHS established by long-time choir director, Larry Griffin. On Saturday, May 3, a small group of auditioned singers will perform more contemporary music at the Kilbourne Coffee House Cabaret in the Kilbourne Commons. Doors open at 6:30 p.m. with performances starting at 7 p.m. Coffee and specialty desserts will be served. On Tuesday, May 20, all the Kilbourne Choir groups will perform their final concert of the year in the Kilbourne Performing Arts Center. Doors for this performance open at 6:45 p.m. and the concert begins promptly at 7:30 p.m. At this concert two Larry Griffin Scholarships will be awarded as well as other Director awards given out. There will be a reception immediately following the concert in the Commons. In Worthington we are blessed with talented students who are willing to invest their time and efforts in the performing arts. We believe these opportunities for students will enrich lives and help create the well-rounded adults who are truly college and career ready. Check out the Kilbourne Singers this May. As you can see, it will be worth your time! My family moved to Worthington the summer between my third and fourth grade year. I believe the year was 1982. At that time Worthington was the far northern edge of the Columbus metropolitan area. Dublin had one high school and their main rival was Bexley. Hilliard and Olentangy were where the farmers lived. Over the past 30 years I have had the privilege to watch Worthington grow, shrink a bit, and change a whole lot. What has remained constant is that Worthington is a great place for kids and a community whose first value is education. One area in which Worthington has changed is in the diversity of our student body. While those of us that live in Worthington know first hand what a high quality of life we have, some may say we live in a suburb of a “fly over state.” They wouldn’t realize that our tight knit community has actually become a thriving international community. In Worthington we have students from all over the globe. Recently our technology department created this map to represent where our Worthington students come from. We already knew that close to 600 of our students speak English as their second, third or fourth language, but being able to visualize the global nature of our schools stunned me. As you can see, our school district (and thus our community) is truly a global village. We have students from every continent and literally every corner of the earth. This new global Worthington adds a richness and a diversity of perspectives to our schools. I’m glad we’re not the Worthington of 1982 anymore. The Worthington of 2014 is a great place to prepare kids for their lives in the global marketplace. In Worthington we are committed to creating an environment where both our students and our staff have the technology tools necessary to compete in a global environment. Things change quickly in technology. So quickly, in fact, that this year in Worthington we have decided to take a step back and make certain we know where we want to go over the next several years. In order to accomplish this goal and provide opportunity for broad stakeholder input into the direction for technology in Worthington a large team of teachers, parents, students, community technology professionals, board of education members and administrators was assembled. This committee has been meeting monthly throughout the school year and is on track to present a plan in late June. The committee began their work by identifying the four critical components of the goal. Those components were determined to be Infrastructure, Equipment, Training/Professional Development, and Options for Student Learning. The committee then defined the components so each team member had a shared understanding of the components. Next the team created a vision for what we would like to see in the future for each area. When the plan is complete in June, the vision for each component will be accompanied by recommendations from the committee on how to accomplish the vision and specific, time-bound action plans for accomplishing the recommendations. Furthermore, a comparison of Worthington’s current state of technology will be accompanied by a description of our future desired state. Stay tuned for that! Here are the four components of the technology plan, the definition and vision for the future that our team created along with our current state of technology in each area. Vision for Infrastructure: acquire consistent wireless connectivity and bandwidth throughout the district in order to support seamless operational and instructional efforts. Worthington City Schools is a large organization with over 20,000 users including students, parents and staff. All elementary schools have been updated with quad outlets to prepare for the potential need for charging of mobile devices in the classroom. Additional electrical outlets may be required for some classrooms depending on need of charging locations and additional mobile carts (containing at least 15 devices). Currently all elementary and secondary classrooms have the capability to plug in up to 10 mobile devices, including the teacher desktop computer at one time. Every elementary and secondary room has at least one drop for high-speed internet. 100% of elementary and secondary classrooms have wireless access. This includes offices, labs, and media centers in each building. However, there is a need to upgrade for higher-density usage in multiple classrooms (20 or more devices logged into the internet at one time in a classroom). All routers and switches are updated and capable of managing the high speed network. As changes are made to the wireless network, upgrading of servers in all buildings and the data center will need to occur. This will allow for increased file storage for operations, students and staff as well as provide necessary redundancy to prevent loss of data or access. Vision for Equipment – create processes to assure appropriate equipment is available to all students and staff in order to promote successful technology integration. All elementary school classrooms have a Smartboard and projector, including art and music classrooms. In addition, every core subject classroom has at least 4 computer workstations with non-core classrooms having at least one computer workstation. Each elementary building has at least one mobile device cart (with at least 30 machines). All elementary schools have a computer lab classroom with at least 25 desktop machines (exception is Evening St. which has no lab but one additional laptop cart of 30). Several building PTA’s have purchased additional laptops, indicating there may be additional need. Elementary schools have some access to additional technology devices such as document cameras and student response systems. These are not consistent across buildings. All secondary school classrooms will have a projector or large screen monitor (70”) by next school year. Each classroom has a minimum of 1 computer workstation. All secondary schools have more than one computer lab classroom. There are a minimum of 2 (60) laptop carts in every secondary school. Additional technologies, such as Smartboard, document cameras, and student response systems are present but not consistent. Currently, all Smartboard requests by staff will be installed by next school year. All staff have access to a desktop computer but not a mobile device. Computer replacement has been done through the use of bond dollars through planned expenditures, as we are now developing. District technology equipment standards are used to determine purchasing decisions. There are two versions of operating systems based on the specific equipment. Typically MAC’s are only used for video production labs at the high schools. Having two platforms (PC/MAC) to support does take considerable time and effort. If we moved to two platforms district-wide it would take considerable more technology support in time and staff. There are very few tools available to support massive installation of MAC equipment. Currently, all equipment has Microsoft Office or comparable applications, including Word, Excel, PowerPoint, etc… These purchases can change to meet the specific needs of the software/application of the technology. Currently, most machines are using Windows XP or Windows 7 operating system. The district has been piloting the use of iPads, iPods, and other specific technology equipment to assist the learning needs of students with Disabilities and English Language Learners. These tools are typically for use in the building only. Currently, these pilots are not standardized and are experimenting with multiple devices and applications. Vision for Options for Student Learning: develop a clear plan for advancing student learning, creativity, and innovation in both face-to-face and virtual environments so that students can become responsible digital citizens. All elementary schools have online access to a variety of applications. Some buildings have programs like Compass Learning and Study Island which provide student-led lessons based on their student achievement results. Other applications include IXL math, Digits, Stepping Stones, and Raz Kids to provide intervention and enrichment for reading and math. WKHS has one full online art course at this time. All secondary students have access to eSchool online courses for students who are trying to recover credits toward graduation. Some secondary staff are utilizing blended learning options for students. This allows students to access content or learning activities online and face-to-face. There are very few student textbooks currently available online. All staff has access to post assignments or learning activities online through Infinite Campus, Moodle, or Teacher Webpages. Not all staff are utilizing these resources at this time. Ensuring students are able to utilize technology effectively and appropriately is important to the district. To assist with this, all students have access to the iSafe curriculum in all grades through the library media specialists. This is an e-rate requirement for learning about internet safety and cyber bullying. A few elementary schools also use learning.com software to learn about internet safety. These courses are provided free through the Ohio Department of Education (ODE). The curriculum department approves all software purchases for elementary and secondary schools. This ensures the software is appropriate and relates to our new learning standards. The technology department ensures software is able to work on our machines prior to purchase. There is not a current, consistent plan for the use of technology in the classroom. Vision for Training and Professional Development: provide an environment of professional learning that empowers staff to enhance student learning through the effective use of technologies and digital resources. The district provides technology integration professional learning by request through 3 technology instructional support staff. Last year, these support staff have provided over 2200 scheduled professional learning sessions for staff across the district. So far this year there have been over 800. The district previously purchased online access to atomic learning, a web-based program for providing professional learning related to technology integration. This resource was not widely used by staff and the subscription was not renewed. All staff have access to technical support through an online request system. There are no specific building personnel assigned to technology support, but we have 6 district technical support staff to address the needs of buildings. On average building level help tickets are closed within 1-2 working days, with the average of all district help tickets falling to below 8 hours for closure. Staff may also use email or phone to receive technology support. Over the next few months you will see more detail and gain greater understanding on where our technology committee believes Worthington should head over the next three years with technology. We’re building on a solid foundation and are excited about what our shared future will hold. According to the Bureau of Labor statistics and Forbes magazine, the average worker stays in his/her job for 4.4 years. No one has ever accused Bob Miller of being average. After 49 years of coaching interscholastic basketball, Coach Miller announced his retirement last Friday afternoon. For the past 31 years Coach Miller has been the varsity basketball coach first at Worthington High School and then beginning in 1992 at Thomas Worthington High School. Over that time his teams amassed a record of 423 wins and only 269 loses. They won numerous league and district championships. During his career Coach Miller was named the AP State Coach of the Year, he’s been given the Ohio High School Athletic Association’s Sportsmanship, Ethics and Integrity Award, and he has been inducted into the Ohio Capital Conference Hall of Fame for his longevity, success and his commitment to youth. Before coming to Worthington, Bob coached the Groveport-Madison Cruisers for 18 years. Wow! I was a high school student at Worthington High School in the late 80’s. I never had the opportunity to play basketball for coach Miller because he smartly chose to cut me from the freshman team. However, not only was Bob a basketball coach, he was a dedicated and successful teacher. I was a student of Bob’s in 10th grade health class as he attempted to navigate and tackle difficult subject matter with high school students. 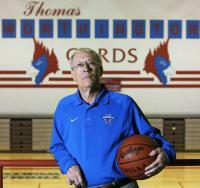 In Worthington we think so highly of Bob Miller that we named the basketball court at Thomas Worthington after him. But, it’s not just his coaching success that makes Coach Miller special. Great coaches like Coach Miller are molders of young men and women. They care more about their athletes and their athletes’ overall success in life than their success on the court. The discipline and work ethic they seek to instill translates into both wins in the athletic arena and wins in life. They are the ultimate teachers of grit, resilience, and toughness. Bob was all that and more. You’re likely very familiar with the plight of Thomas Worthington baseball coach Steve Gussler. As coach Gussler has battled cancer treatments over the past several years his attendance at school was dependent on his treatment schedule. Several years ago, after Bob had officially retired from teaching, he asked our human resources department if he could volunteer without pay to be the substitute health teacher anytime Steve needed to be out of class for treatment or recovery. His only interest was self-less- how could he help a colleague and how could he help make sure the kids in Worthington got what they need. Many people know Coach Miller better than I do, but my belief is that it was his self-less dedication to others that allowed him to dedicate 49 years of his life to coaching and teaching. Coach Bob Miller retired from basketball Friday having made a positive difference in the lives of students in Central Ohio for three generations. Worthington will be forever grateful for his faithful service! Thanks Coach! I want to clarify that the Liberty Elementary School referred to in yesterday’s news is Liberty Elementary in the Columbus City School District which is located at 2949 Whitlow Rd. in Columbus. According to news reports, a 14 year old boy and a 20 year old male were shot on school grounds around 3:30 pm. More information is available at NBC4i.com. It’s logical to believe there is an either/or approach to choices we must make in public schools. However, either/or is often used as a logical fallacy. It’s a fallacy when we present only two options when it is possible to have more. For instance it is an either/or fallacy when we present dilemmas such as “if we don’t do ‘A’, our way of life in Worthington will be tarnished forever.” In Worthington we strive to stay away from either/or approaches and instead we want to take a both/and approach. Both/and applies to all areas of our school district. 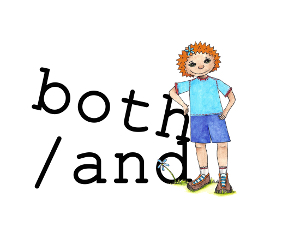 Let’s examine a both/and approach to the classroom. Some argue schools should focus attention on students who are most at-risk. This approach holds that because resources (time, energy, staffing) are limited, the most good can be done if efforts are targeted toward students who are living in poverty, who have a disability or who are learning English. This approach emphasizes equity through taking into account that these students require a much more intensive and focused effort than the typical student. A second approach is that every student should learn in an environment of high expectations and rigorous academic standards. This approach emphasizes a different view of equity, holding that every student receives the same options and opportunities, all at a high quality and challenging level. A third option emphasizes providing accelerated and enriching experiences for students of exceptional academic ability. This approach holds that high achieving students deserve the same sort of customized learning opportunities that at-risk students get. This approach emphasizes equity by saying that these students learn differently than typical students and we do them a disservice by not acting to provide these students accelerated and enriched learning experiences. Conventional thinking (either/or) convinces us we must make a difficult choice between these three options: Do we focus on at-risk students so that we provide every child (regardless of background or demographic) the opportunity to succeed and have a shot at the American dream? Or do we focus on providing quality academic programming for all students, ensuring that we’ve treated all students and families fairly? Or finally, do we focus on our “best and brightest” — those students who demonstrate giftedness or exceptional talent, making sure that these students maximize their potential greatness? These choices are difficult because each one of these comes with a compelling reason to choose it and also a painful trade-off in what is not chosen. In Worthington we reject the notion that these three choices are mutually exclusive. Instead (utilizing a both/and approach), we begin by making sure academic instruction is aligned to robust academic content standards. All students are put in learning environments that push students to learn at high levels and demonstrate higher order skills like collaboration, critical thinking, creativity and problem solving. Many students will struggle in this high expectation environment. However, all of the comparative educational research tells us we are much better off if we place students in this high expectation environment versus a low expectation environment. As we establish a high-level learning environment as our core, some students will need additional support while others will excel. We rely on the expertise of classroom professionals to identify both of these groups and provide customized supports depending on individual student needs. This approach seems intuitive and direct: Have high expectations for all students, teach them in a quality environment and then tailor supports to students who need help or are ready to move ahead. This means that our efforts are centrally focused on teaching to high academic standards for all of our students. It also means that we are working to put in place a system of supports for both at-risk and gifted/talented students so that all of our students are encouraged and challenged. Most of this work happens in the schools by our caring and talented teachers. They are teaching to high standards and then providing supports where they are needed. We use formative instructional practices to assess students each day. In most cases, teachers modify instruction within their classroom to help students succeed. In other cases, at-risk students may need additional support from specialists, as do gifted students. In our schools, a continual scaffolding of supports happens to support learning. This could be catching one student up to reading on grade level or reaching the proper challenge state for a gifted student. Meanwhile, the majority of students continue to learn at a high level. No student gets less than a high level of academic challenge. Some get more support to arrive at the universally high level and others receive enrichment to go deeper than the high level, but no one is left behind. Importantly, our schools can’t do it alone. We also need the support of many groups in our community to help us in meeting the needs of at-risk students and accelerated students. Poverty is the single biggest issue dividing academic performance. We strive to make schools a respite from the stresses of poverty and our community works hard to provide further supports. We must remain committed to doing everything we can to combat the impact of poverty on learning and the general well-being of our children. By keeping our focus on quality teaching to high standards for all students and then supplying supports for students who need it, we are putting a both/and approach into action in all Worthington schools.